Richard Long has made the act of walking in remote and extraordinary landscapes into an art form. It is during these walks that he arranges natural objects such as rocks into geometric forms which he then photographs. ‘Southern gravity’ was commissioned by John Kaldor specially for the John Kaldor Family Gallery. 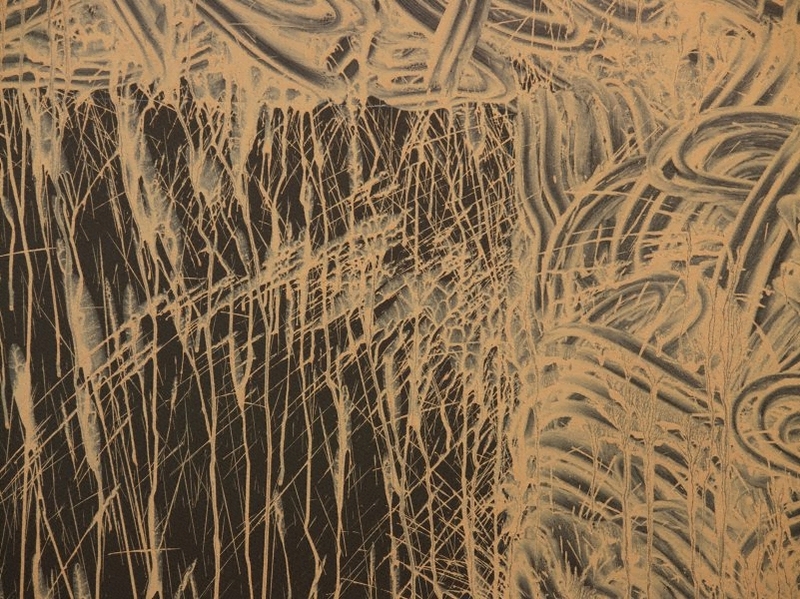 Long’s mud drawings relate to the water lines poured over rock shelves that he often makes on his walks. 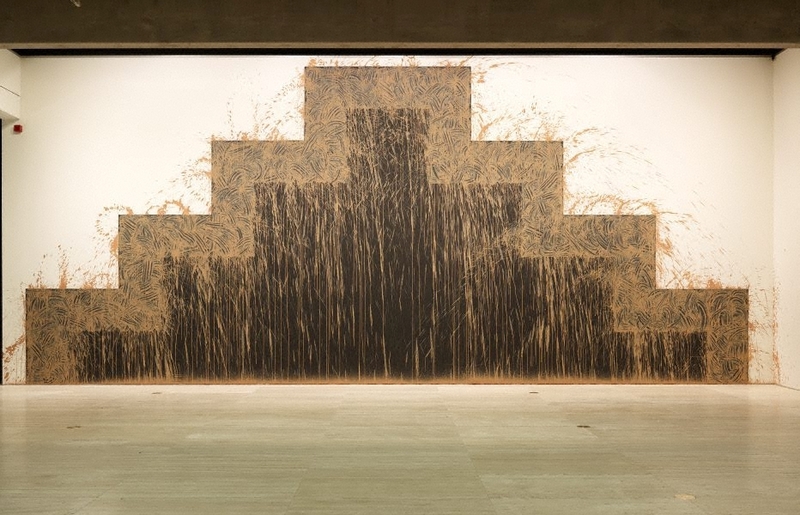 Like the artist’s stone works, ‘Southern gravity’ is based on a geometric shape but the application of the mud is done with such an intensely energetic movement – akin to a ritual dance – that striking traces of the artist’s hand gestures are left behind. 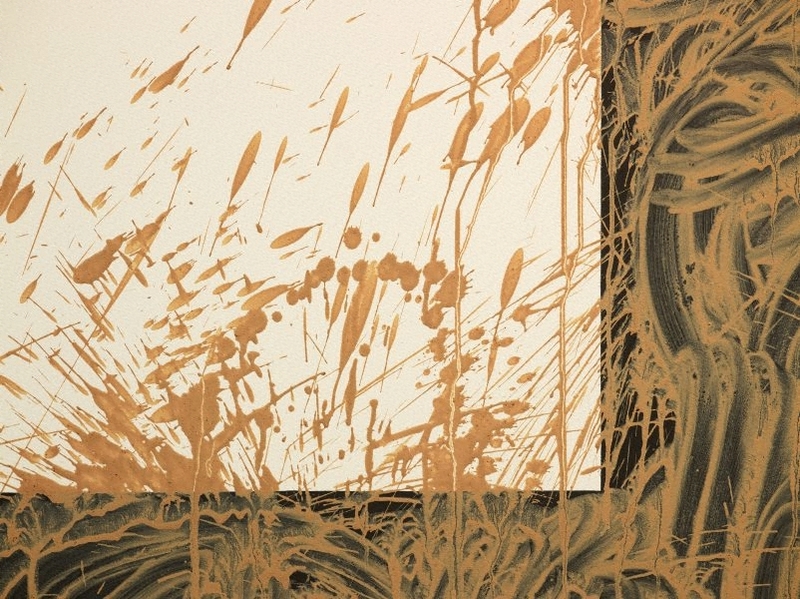 The wet mud splashes, drips and sprays over the underlying geometry, expressing not only the speed of execution but also the effects of gravity. The finer drips create the impression of a shower that is almost like the rain in a Hokusai print. Anthony Bond, Look , 'Rehang of Level 2 June 2012', pg.28-30, Sydney, May 2012, 28. 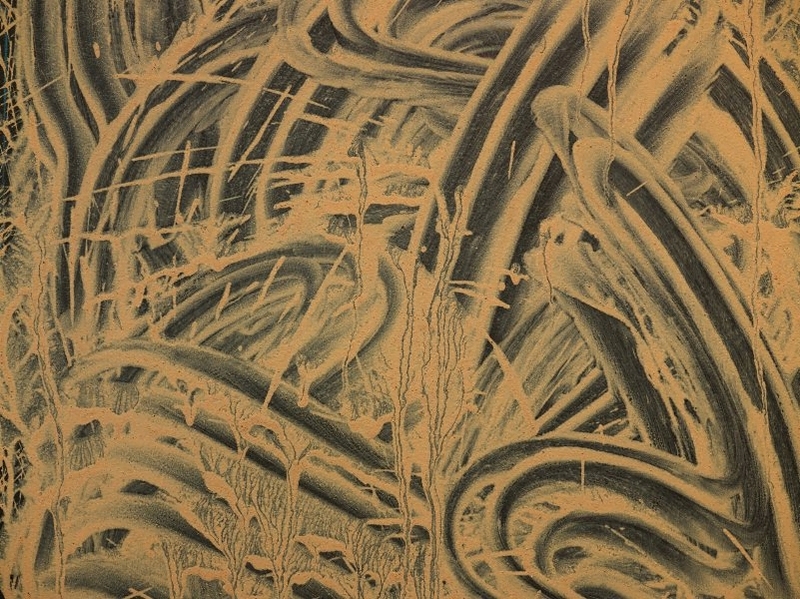 Anthony Bond, John Kaldor family collection: Art Gallery of New South Wales , 'Richard Long', pg.132-149, Sydney, 2011, 134, 148-49 (colour illus.). Jackie Dunn, Look , 'Behind these walls', pg.56, Sydney, Feb 2016, 56.